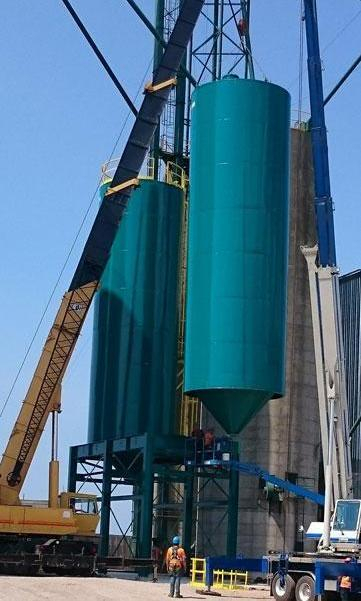 Twenty-two Silos for Feed Mill Our skilled in-house design team used 3-D modeling to provide a solution that prevented clearance and installation issues for our client. 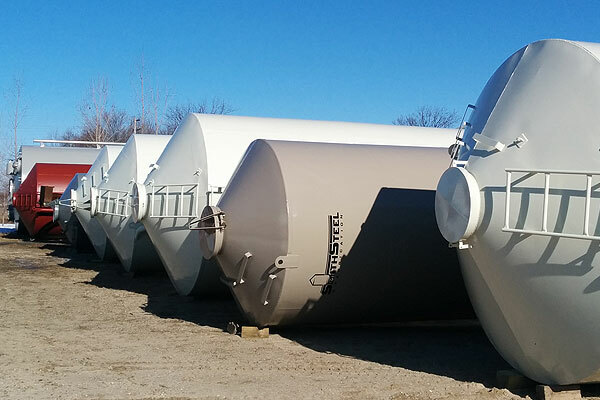 Eight Tanks for Winter Storage of Tallow We brainstormed around our client's intial request for one large silo to provide a custom silo solution that improved our client's processes. 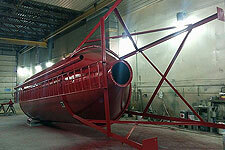 Thirty-seven Tanks for Specialty Feeds A custom fabrication project with large, small and liquid tanks. Designed, built, and delivered by Smith Steel & Fabrication. 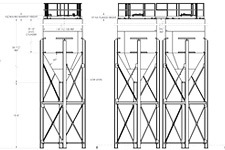 Smith Steel & Fabrication specializes in the design and fabrication of bespoke solutions for bulk storage applications. Our certified design team engages our clients to fully understand their requirements and works closely with our CWB certified welders from the onset to ensure the project can be fabricated to the required specifications. Engineered for the storage of lighter products in non-industrial and agricultural environments. Dozens of standard sizes available to meet your exact requirements and extensive customization options. 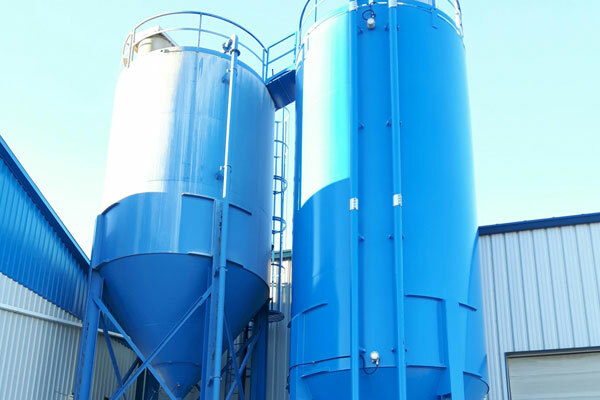 Engineered for the storage of dry, semi-dry and liquid products for industrial applications in circular or square/rectangular format. 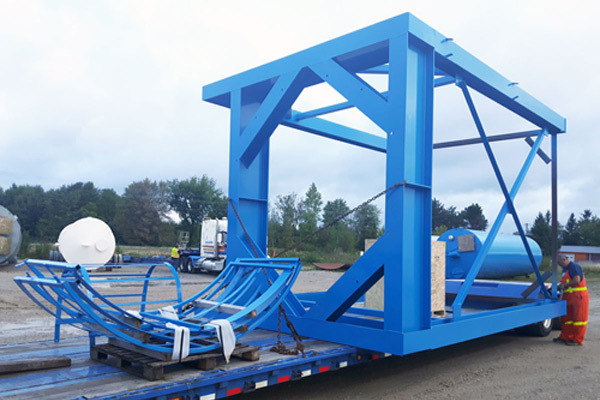 From small platforms to large support structures, Smith Steel & Fabrication has the knowledge and experience to design and deliver solutions based on your requirements. Although the majority of our work begins with design and ends with paint, we are also able to provide individual services without being awarded the entire project. 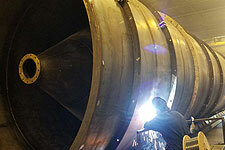 Smith Steel & Fabrication is more than just tanks. From our certified and experienced design team to our highly trained and skilled fabricators, we have the ability to transform your simple or complex steel project from concept to reality in a cost-effective manner. Our designers take your concept, whether from two dimensional drawings or just written requirements and transform it into a three dimensional model utilizing the latest software. These models can be reviewed electronically or even inserted into your own models. 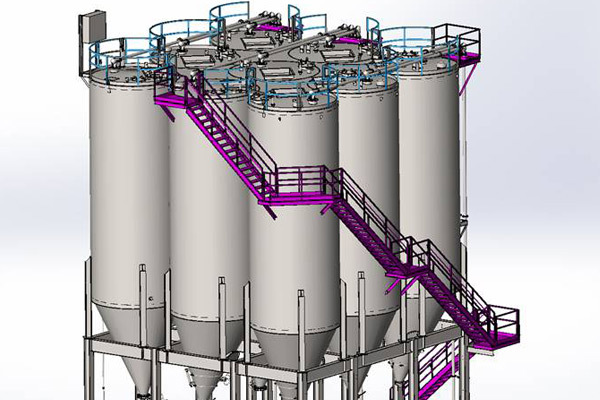 Our skilled labor force transforms engineer stamped drawings into reality. The experienced and qualified fabricators on staff welcome challenging and innovative designs that enable them to continually upgrade their knowledge and metal-working skills. Our indoor 3,000 sqft finishing bay is utilized to apply coatings to the fabricated products we manufacture. Our on-site licensed electrician is able to pre-wire all the electrical components on the assemblies, thereby reducing the field-work required and ultimately reducing the cost.